Pimples are unpleasant and painful for a lot of reasons. Even, a blind pimple may bring more pain than other pimples as this type of pimple is deep within our skin and closer to our nerves. These blind pimples often grow behind the ears, on the nose and elsewhere on the facial skin and body skin. Normally, they are red, have various sizes and contain no pus. You should not squeeze a blind pimple, because it will increase the risks of infection. Instead, you should try applying one or more of the following natural treatments if you want to know how to treat these blind pimples. 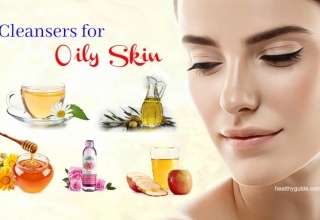 In this article, Healthy Guide will reveal some of the most effective tips on how to get rid of a blind pimple on forehead, chin, far, and nose. 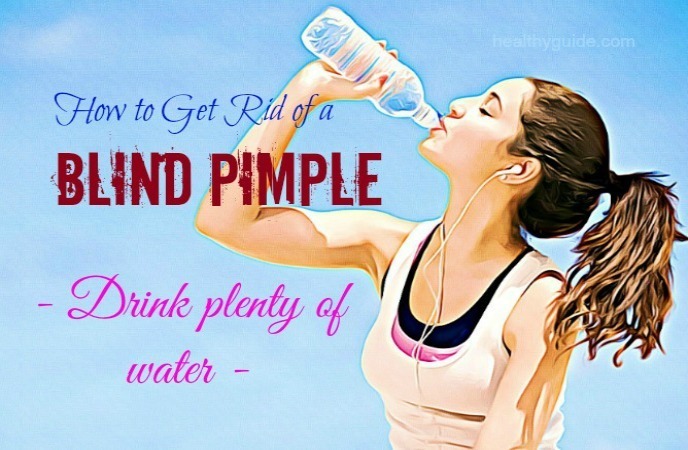 So, if you want to get rid of all blind pimples under your skin, read on this entire article and then consider applying any of the following tips for good. Hormonal changes in teenagers and adults, causing excessive sebum production. 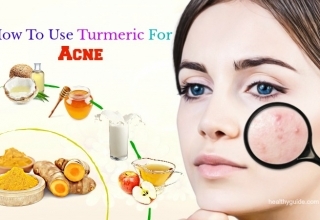 Read on Top 25 Natural Homemade Face Masks For Acne Scars to discover some of the homemade face masks that can help you get rid of acne scars. Some simple home remedies can help you get rid of blind pimples. Just keep in mind to wash your affected skin areas with clean water and then pat it dry before you apply these remedies. 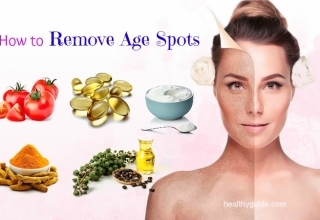 This is the first one of the best tips on how to get rid of a blind pimple on forehead, chin, far, and nose that I want to mention in this article and want all of my readers to apply for good. The antibacterial properties found in tea tree oil can help kill off bacteria that result in pimples; therefore, tea tree oil can prevent further outbreaks. 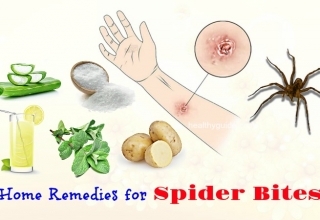 Besides, it can also soothe the skin and boost the process of healing. Addition to this, according to a study , tea tree oil works as a cleanser, opening clogged skin pores and penetrating deep in the skin. To use tea tree oil to treat blind pimples, it is important to dilute it with some water before you apply directly it on your skin. Soak a cotton ball in this solution and then directly apply it on your blind pimples. Let it sit on for 10 minutes before washing it off with warm water. Repeat this process 2- 3 times a day. Note: If your skin is sensitive, you should mix tea tree oil with some aloe vera gel in lieu of water. List of 14 Ways On How To Take Care Of Sensitive Skin For Men And Women will reveal some of the best tips you should follow when taking care of sensitive skin, so check it out! Honey contains antimicrobial and antiseptic properties that can fight bacteria causing blind pimples as well as other pimples. Moreover, honey also acts as a mild cleanser, making it one of the best tips on how to get rid of a blind pimple on chin, ear, nose, and forehead that you should know and then apply for good. Soak a cotton ball in some honey and then apply it on your affected skin areas. Let it sit on for about 15- 20 minutes before rinsing it off with warm water. Repeat this process 2- 3 times a day for the best result. Blend an apple into some pulps. Then, mix 1 tbsp. of mashed apple with 1 tbsp. of honey to create a thick paste. Next, leave it on for about 10 minutes before washing it off with warm water. Repeat this home remedy once per day to heal your blind pimples effectively. When it comes to ways on how to get rid of a blind pimple on ear, chin, nose, and forehead, you should give aloe vera a try. According to a research about the uses of aloe vera for pimples , aloe vera contains antibacterial properties, so it can prevent swelling, redness and inflammation caused by blind pimples. Moreover, the healing properties found in aloe vera can help our body rebuild damaged skin tissues. Apply the aloe vera gel to your affected skin areas. Leave it on for about 20 minutes before you wash it off with warm water. Repeat this home remedy twice per day for a couple of days. Note: If you have no aloe vera plant available at home, you can buy products that contain aloe vera gel available in the market. 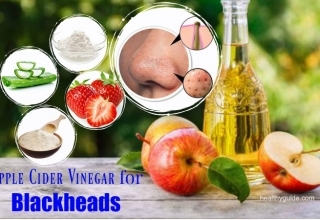 Apple cider vinegar can increase blood circulation, making it one of the best ways on how to get rid of a blind pimple on ear, chin, nose, and forehead that you should try. Also, it contains antiseptic properties that prevent the growth of bacteria causing an outbreak as well as skin infections. Then, apply it on your affected skin areas, leaving it on for several minutes. 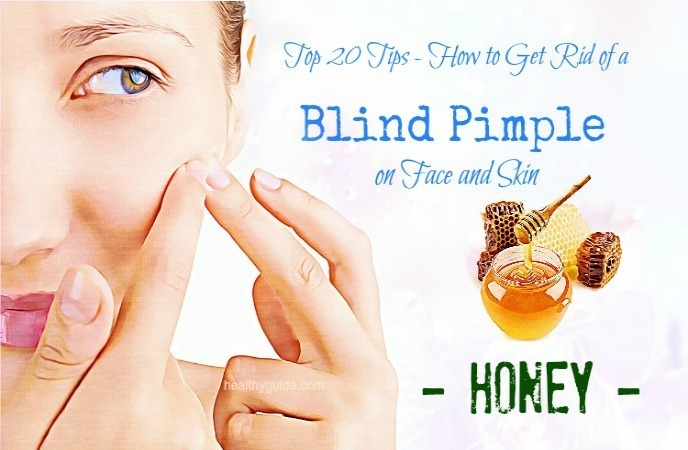 Repeat this home remedy several times per day so that the blind pimples can come out quickly. Add 1 tsp. of apple cider vinegar to a cup of lukewarm water. Drink this solution before you enjoy your meals. Then, place it on your affected skin areas for several minutes. Repeat this process 3- 4 times a day until the blind pimple’s head forms. Alternatively, consider using a lukewarm bag of black tea as a warm compress. Actually, the tannins found in black tea can help reduce inflammation as well. 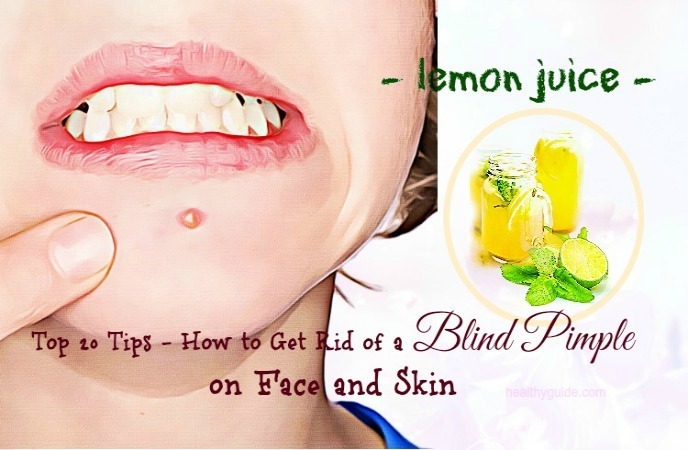 When it comes to ways on how to get rid of a blind pimple on ear, chin, nose, and forehead, you can also get rid of this skin problem by using some lemon juice. 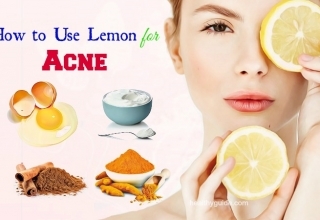 Actually, the citric acids found in lemon juice can work as an astringent that can dry out your pimples. Also, lemon juice can work as a cleanser that can help remove dirt and bacteria from the skin pores and simultaneously boost up the healing process. Extract the juice from one lemon. Repeat this home remedy 2- 3 times a day for a few days to get the best result. Combine 1 tbsp. each of rose water and lemon juice. Apply this solution on your blind pimples with the help of a cotton ball. Leave it on for about 30 minutes before washing it off with warm water. If blind pimples make your skin red, painful or inflamed, you can try applying an ice pack for about 10 minutes. By using ice packs, you can reduce swelling and pain caused by a blind pimple. Simply, you just need to cover some ice cubes with a thin cloth. And then, place this ice pack onto your affected skin areas. Keep in mind that you should not apply ice directly to your skin as this can cause skin damages. Actually, using ice pack is known as one of the best ways on how to get rid of a blind pimple on nose, ear, chin, and forehead that you should not look down, yet try to apply for good. Apply some white toothpaste on your blind pimples before you go to sleep. Then, leave it on overnight. Repeat this home remedy daily until your blind pimples vanish. Note: You can also apply this home remedy during the day. The white toothpaste must leave on your blind pimples for at least 60 minutes. Add 1 tsp. of Epsom salt to ½ cup of boiling water until you see that the salt dissolves completely. Then, let this mixture cool to room temperature. Apply the warm mixture on your blind pimples with the help of a cotton ball. Allow it to dry out naturally before washing it off with clean water. Repeat this home remedy 2- 3 times a day for several days until the head of the blind pimple comes out naturally. If you are looking for natural ways on how to get rid of a blind pimple on nose, ear, chin, and forehead, you should try using milk. Actually, milk has alpha hydroxy acids that can aid to unclog skin pores and make the skin smooth by removing the accumulated dirt and oil as well as the outer layer of skin cells. You can follow either of the recipes below if you want to deal with this skin condition. Apply milk to your blind pimples with the help of a cotton ball. Leave it on for about 10 minutes before washing it off with warm water. Repeat this home remedy 3 times a day. Then, place this soaked bread into a clean cloth in order to make a poultice. After that, apply the poultice to your affected skin areas for a few minutes. 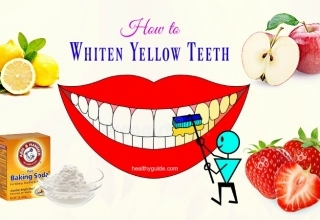 Repeat this home remedy twice a day until you achieve your desired result. Rubbing alcohol contains soothing and cooling properties, so it can be used as a solution on how to get rid of a blind pimple on nose, ear, chin, and forehead naturally at the comfort of your own home. 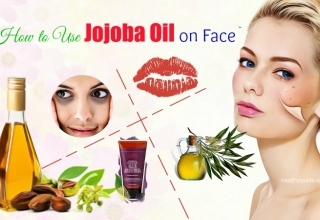 In addition, it will help remove oil and dirt from your skin and simultaneously unclog blocked skin pores. Therefore, these blind pimples will reduce in redness and size. Then, gently apply it onto your affected skin areas. Let it sit on for about 30 minutes before washing it off with warm water. Repeat this home remedy a few times a day until you see that the head of the pimple come outs. Note: You can use alcohol-based cologne instead of rubbing alcohol as well. Other natural ways on how to get rid of a blind pimple on face and on skin naturally at home must include green tea. Actually, green tea has been shown to treat many skin conditions. According to a study, green tea can work as an astringent that can make your blind pimples reabsorb or make them come out. You can use a lotion that has green tea extract in order to reduce your acne. Also, you can soak a bag of green tea in lukewarm water. Then, you apply them directly to your affected skin areas for a couple of minutes. To be healthy, both your skin and body need enough water. So, you should drink up to 8 glasses of water on a daily basis. 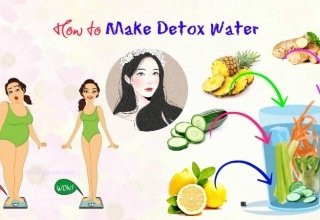 This will help you have elastic and glowing skin, good metabolism and remove toxins from the body. Also, drinking plenty of water can help improve the digestion, thus improving the skin health. 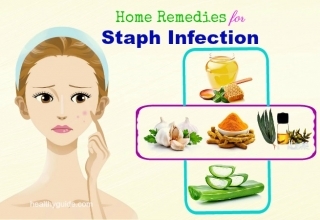 You can make a natural mixture with astringent, antibacterial as well as skin-healing properties if you want to get rid of blind pimples at the comfort of your own home. Now, follow the simple face mask recipe below if you want to get rid of blind pimples. Apply this herbal mask over your affected skin areas. You should use a mild, non-comedogenic, plant-oil based cleanser to cleanse your skin. This is because this cleanser will not clog the skin pores, a common cause of pimples. Some dermatologists recommend that people with acne-prone skin should use glycerin, sunflower and grapeseed oils. Also, avoid cleansers that have alcohol as a main ingredient as alcohol can dry, irritate and even damage the skin. Just wash the skin 1-2 times a day. There is a variety of skincare products on the market; however, not all of them are safe to apply on your skin. Therefore, you should avoid irritating skincare products such as exfoliants, astringents, toners. Also, you should avoid using products that contain alpha hydroxyl acids or salicylic acid as they could dry the skin. Moreover, makeup can make blind pimples worse. It can cause irritation or clog the skin pores. So, when you are facing blind pimples and acne, limit the exposure to cosmetic products. In fact, this is one of the greatest ways on how to get rid of a blind pimple on nose, ear, chin, and forehead that you should not look down, yet try to apply for good. Lack of hygiene may be one of the main causes of skin problems. This can lead to excess of dirt and sebum in pores, causing clogged skin pores and skin infection. Therefore, a great beauty advice you should follow is that you should clean your skin regularly. It is good to use soap or cleanser 1-2 times a day. 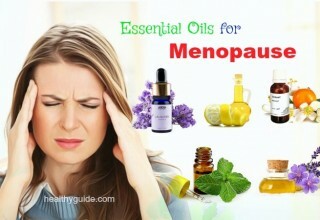 You can use plain water or add 1-2 drops of essential oils to it. Also, you can use ice cubes to wipe your skin. There are other effective ways on how to get rid of a blind pimple on forehead, nose, ear, and chin in this entire article. Continue reading this entire article and then consider applying one or more of these ways for good. Steaming will open the skin pores in order to clean out facial oil and debris and simultaneously draw out blind pimples. When you use deep steam to clean your skin, you can add some essential oils to help your body reabsorb blind pimples or bring them out; hence, speeding up the healing process. Addition to this, some essential oils can help prevent pimples from forming. Spearmint or peppermint oil: They can enhance the immune system. However, some people find peppermint irritating, so you should start by using a drop of peppermint oil for every quart of water. Lavender oil: This oil is calming and soothing and it can help deal with depression and anxiety. Calendula oil: This oil has antimicrobial properties and can help boost the healing process. At first, fill up a pot with water and then bring it to a boil for a minute. Add 1- 2 drops of essential oils to the pot. Boil the water for another few minutes. Test for skin sensitivity to the oil before steaming your facial skin. Rinse off your skin with warm water and then pat it dry using a lean towel. After that, apply a moisturizer to help prevent skin damages while keeping your skin soft and flexible. 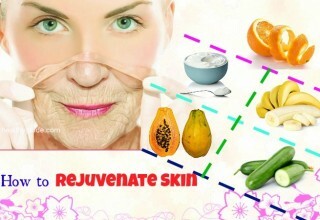 We all know that a right diet is important for healthy skin. So, you should follow a balanced diet to deal with all of the skin problems from the inside. Drink more fresh fruits and vegetables. Avoid consuming fried foods, processed foods, unhealthy beverages, etc. and you will soon see an improvement. 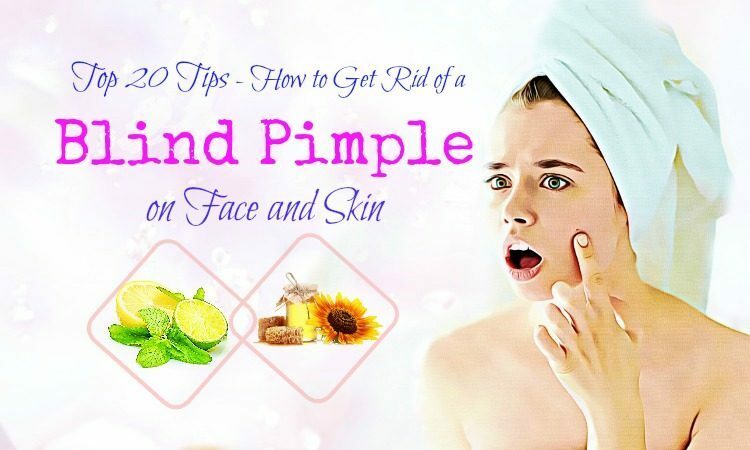 This is the last but very important tip on how to get rid of a blind pimple that you should know and then try to apply as soon as possible, especially if you want to deal with this skin problem naturally at home. Sleep is important for skin health. Getting enough sleep can help you reduce stress and allow your body to rest. And exercise can keep your body strong and toned and help remove toxins from your body through sweating. Remember to clean the skin after exercising. After reading this article about top 20 ways on how to get rid of a blind pimple on forehead, nose, ear, and chin, I hope that you can achieve your desired result soon. Also, if you want to get more information about skin care, you should visit our website regularly. Moreover, you should feel free to share this article with other readers around you who are facing the discomfort caused by blind pimples under the skin. One more thing, if you know other effective tips on how to get rid of a blind pimple on forehead, nose, ear, and chin, share them with other readers in the comment box below.